The historic city centre is a prominent World Heritage Site of UNESCO. 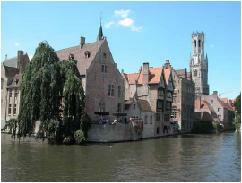 Along with a few other canal-based northern cities, such as Amsterdam, it is referred to as "The Venice of the North". 50 km from Lille. 12.15 pm: Lunch break in one of the oldest brewery of Bruges. 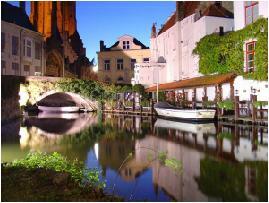 You will eat a delicious local season menu with a great Belgian atmosphere. 5:00 pm: Back to Lille. Arrival around 6.00 pm. Booking before Thursday 26th of August on contact@3-4jours.com or +33(0)3-20-947-127. Or registration on site until Wednesday 1 September before 10 am. Payment will be made on site.